DRUNKERS DESTROY!! 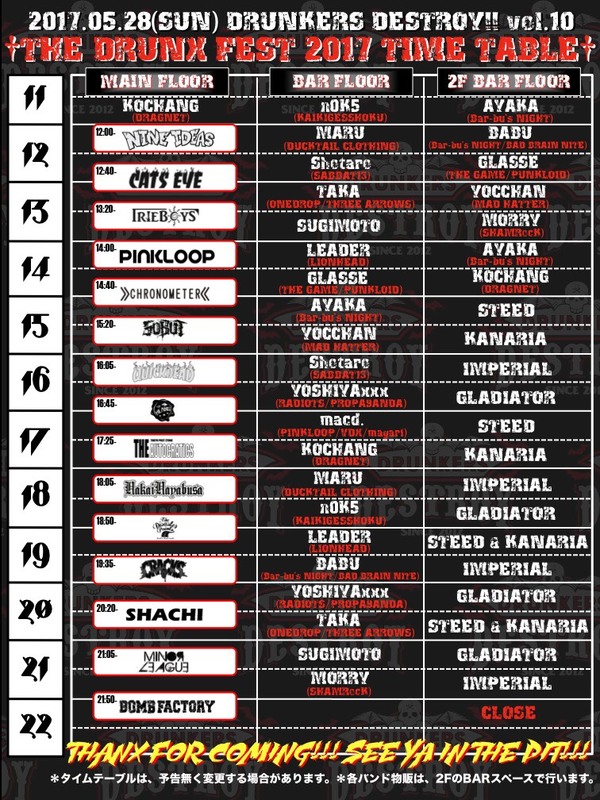 vol.10 5th Anniversary Special Party!!! 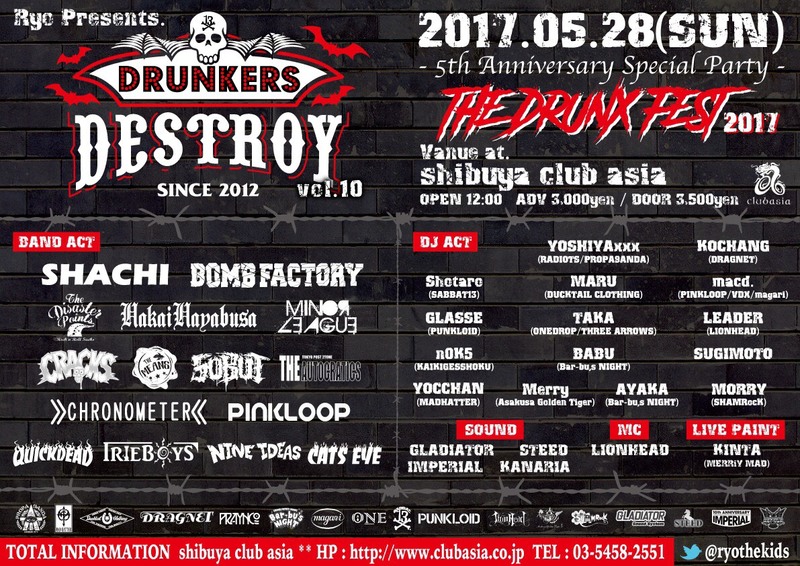 "THE DRUNX FEST 2017" ＠渋谷club asia : THE DUCKTAIL CLOTHING CO.